Currently viewing the tag: "No Money Down"
This is a reminder, for property investors who want to ensure success in UK property investment, about the upcoming live property master class, Lease Options Vs Installment contracts hosted by our friend and leading creative strategist, Reena Malra. Reena DOESN’T do courses, so you won’t be able to learn this stuff in a book! She will only be revealing these golden nuggets of profit-pulling information during her live 1-day event, so if you miss out now, you’ll miss out forever. YOU DON’T NEED any experience whatsoever! That’s right, you don’t need any experience of property in order to start doing this. And that’s because Reena is going to teach a select group of lucky entrepreneurs the top-secret creative strategies that she has used to go from redundancy to self-made millionaire in just a few short years – and exactly what you need to do to replicate her success! 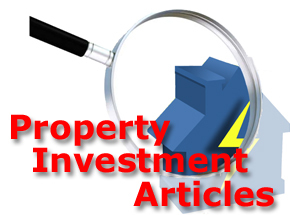 Why NOW is the perfect time to build a property portfolio! (The property industry has been completely revolutionised in the last few years thanks to the arrival of strategies like lease options and instalment contracts (exchange with delayed completion). The truth is, anyone (including you) can now build a massively profitable property empire without the need for a mortgage, deposit, good credit rating, or any previous experience whatsoever!). How each and every property deal you do can bank you anywhere from £10,000 to a whopping £100,000+! (Many of my students are now able to bank thousands of pounds in “up-front” payments within just a few weeks of discovering these strategies, as well as monthly recurring payments and huge lump sums on the back-end too!). Exactly where to go to find red-hot, insanely profitable deals! (Whether you’re a complete novice or a seasoned investor, you’ll be told exactly where you need to go to find the most lucrative deals that will generate a positive cash flow for many years to come!). Enjoy something that very few people ever get to experience in their entire lives – complete financial freedom! (Yes, when you’re making a 5-figure a month passive income from property, you’ll finally be able to start living your life, and you won’t need to worry about money ever again!). Now, I hope you don’t mind us posting about this again, but we don’t want you to miss out on this because it’s going to be a truly mind-blowing day, we promise you! In fact, many of them have already achieved some spectacular results, which you can see for yourself right here! Book your place right now because when we spoke to Reena earlier today and there were very limited seats remaining for both days, and they won’t be free for long. By the way, because we are friend’s of Reena’s, we’ve managed to secure a special bonus for you as well. Just input “MPPT” in the “Who referred you?” box on the order page, and Reena will present you with your free bonus on the day of the event! In fact, the last few weeks have brought to light the massive failings (false promises?) of one particular “Self-Invested Personal Pension” (SIPP) provider. So, in a nutshell, what happened…? They got the buying model wrong. Doing Your due-diligence is key! Which is why the two most renowned expert property investors of the last ten years have produced THIS compelling report on the state of the UK property market. And in light of these recent high-profile cases, they feel a sense of duty to other property investors like You to reveal these key predictions and strategies for 2013. Some of the content revealed will be of a sensitive nature, and last year they were forced to take their controversial report down after just a few days…and this years State of The Property Market Address is even more explosive! This report is only available for 2 weeks so Get it NOW! 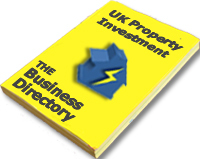 As 2013 stretches before us, we’re all looking to learn about the best of property investment from other successful property investors that will hopefully help us improve and grow our own property business’. Exciting Time Sensitive News For Entrepreneurs! Meet Robert Allen This Week! One of the other speakers was Robert Allen, Author of the biggest selling Real Estate book in America “No Money Down”. However, Robert was not speaking about property investing but rather his favorite topic of “Info-preneuring” and multiple streams of income. In case you were not able to make NAC the great news is that Robert has decided to go on a mini tour of the UK this week. He will be coming to Birmingham and Manchester for the first time ever and then back to London before flying home to LA next weekend. If you would like the opportunity to learn more about multiple streams of income and see Robert Allen on this mini tour then CLICK HERE NOW.